Today, an introduction and tutorial to NEAT – including NEAT usage in NorNet Core – was presented to students and staff members of Hainan University (海南大学) in Haikou (海口), located in the Hainan Province of China. For more information on NEAT in NorNet Core, also see the previous announcement. 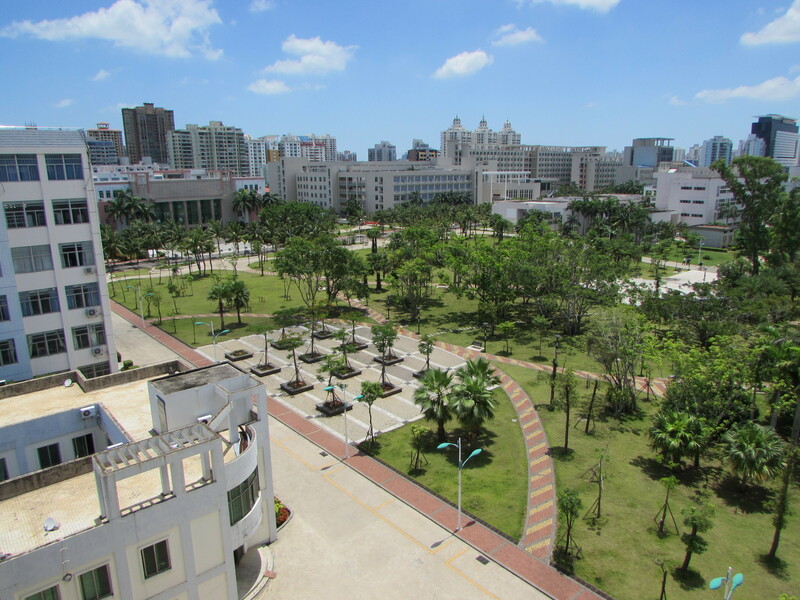 Dreibholz, Thomas: «A Practical Introduction to NEAT at Hainan University» (PDF, 866 KiB, ), Invited Talk at Hainan University, College of Information Science and Technology (CIST), Haikou, Hainan/People’s Republic of China, April 17, 2017, [BibTeX, XML]. The NEAT project wants to achieve a complete redesign of the way in which Internet applications interact with the network. Its goal is to allow network “services” offered to applications – such as reliability, low-delay communication or security – to be dynamically tailored based on application demands, current network conditions, hardware capabilities or local policies, and also to support the integration of new network functionality in an evolutionary fashion, without applications having to be rewritten. This architectural change will make the Internet truly “enhanceable”, by allowing applications to seamlessly and more easily take advantage of new network features as they evolve.